Spiegel & Grau, 9780385523912, 336pp. 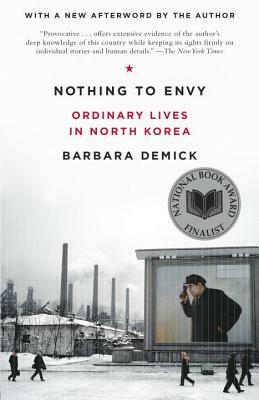 Barbara Demick is the author of Nothing to Envy: Ordinary Lives in North Korea, which was a finalist for the National Book Award and National Book Critics Circle Award and the winner of the Samuel Johnson Prize in the U.K., and Logavina Street: Life and Death in a Sarajevo Neighborhood. Her books have been translated into more than twenty-five languages. Demick is a staff writer for the Los Angeles Times and a contributor to The New Yorker, and was recently a press fellow at the Council on Foreign Relations.